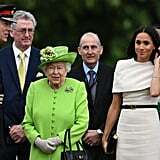 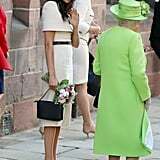 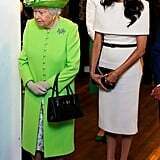 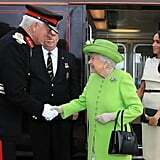 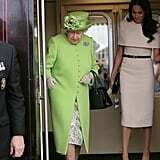 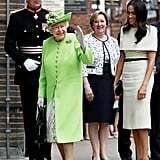 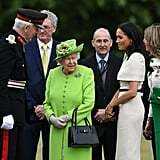 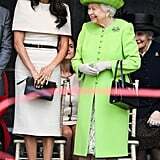 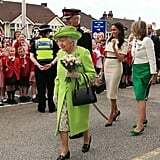 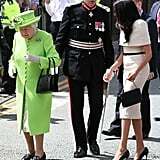 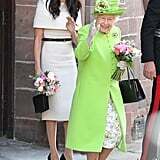 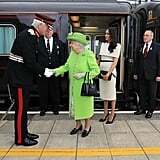 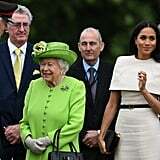 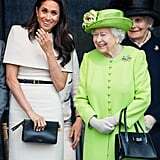 When Meghan Markle and Queen Elizabeth II traveled 200 miles north of London for a visit to Cheshire, the Duchess of Sussex stunned in a Givenchy dress, while the monarch wore one of her most colorful outfits to date. 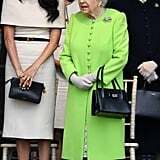 However, what was perhaps the most interesting part of Meghan's outfit was her choice of handbag. 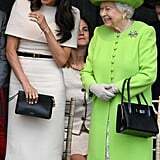 For the occasion, the duchess carried a Givenchy purse, which featured a gold chain. 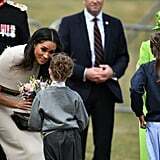 Although this detail might, at first, seem insignificant, it was in fact more proof that Meghan is making her mark. 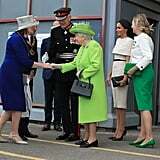 While Kate Middleton generally carries small clutches in order to avoid potentially awkward moments, the queen prefers longer handles to ease the process of handshaking and make sure that she can have easy access to all her handbag essentials. 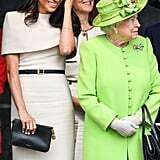 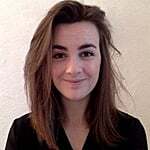 As for Meghan? 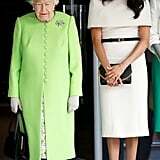 Well, she falls in the middle. 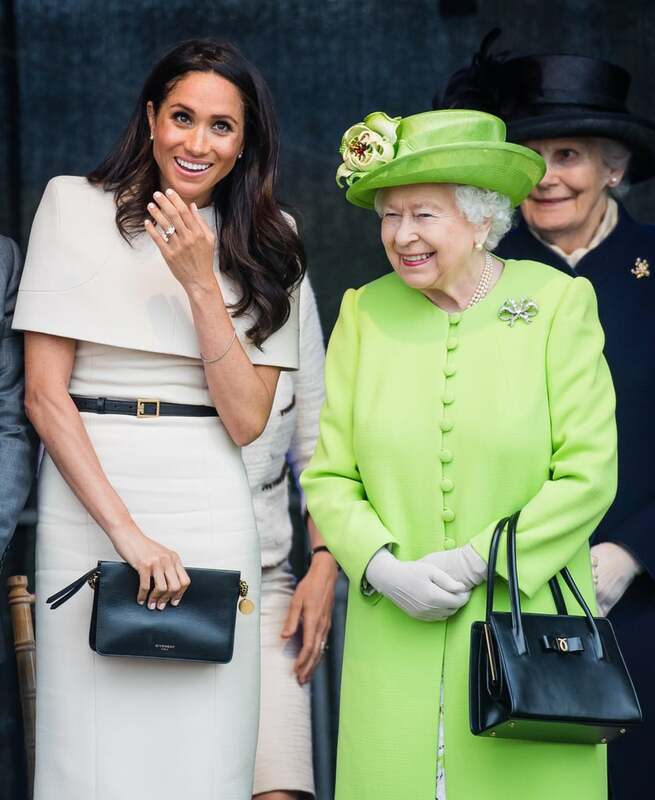 Over the past few months, we've seen the Duchess of Sussex carrying everything from a tote bag to a crossbody. 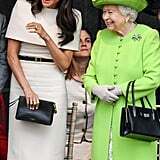 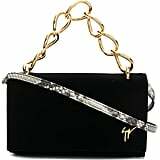 Keeping less-practical clutches for evenings with Prince Harry and other formal events, Meghan seems to always be open to interactions with the public, which would explain why most of her purses seem to have some kind of practical strap. 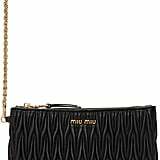 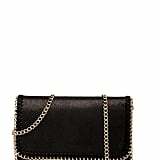 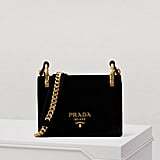 Read on to get a close look at her bag, and then shop a similar clutch for yourself.